HAVE A HEART - Support First Nations Children! Join the AI Toronto Action Network for Women's Human Rights (ANWHR) for a night of letter writing, crafts and sweet treats! The federal government’s underfunding of services for First Nations children living on reserves has created a crisis situation for these children and their families. 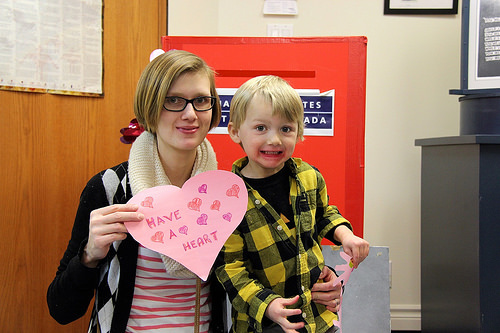 Join ANWHR, for a night of crafts, letter writing and sweet treats as we send messages to our Prime Minister and Members of Canadian Parliament to ask them to Have A Heart for our first Nation Children.